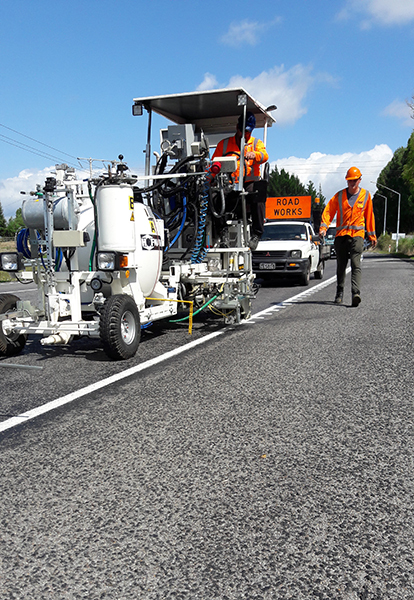 Spray Marks NZ maintains a fleet of Trucks and Machines, with Ride-on Type B machines and Truck mounted Type A units. And with our newest addition of a Hoffman H18, Spray Marks has CAP (cold applied plastic), ATP (audio tactile profile), and agglomerate marking covered as well. CAP ATP and Spotflex markings.